Since 1991, as photographer explorer of South West England's landscape and culture, Chris has worked as a presenter in regional television. In 2005 David Parker, the producer and founder of Available Light in Bristol, gave Chris his first opportunity to work as director cameraman. Peter Randall-Page: Sculptor was broadcast on 11th October 2005 on ITV West as part of its 'Westcountry Profile' series. Chris shot and directed a second film, Inspirations: Down on the Farm in March 2006. This was made for Teachers' TV and followed the story of a weeks visit by primary school children from Kelvin Grove School, Sydenham to the charity, Farms for City Children, on its Devon farm in Iddesleigh. Later that year he was cameraman for a similar programme on the subject of small schools in Devon for Teachers' TV, a collaboration with Kate King and produced by Available Light. HOW MANY PEOPLE SEE THE STARS AS I DO? 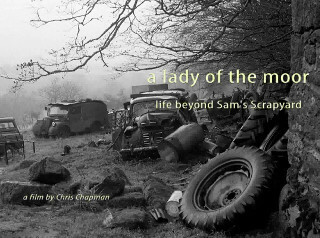 Sam Harris's scrapyard at Lettaford on Dartmoor has become something of a legend, and people have fond memories of Sam's cheerful smile and friendly demeanour. It was his daughter Peggy, long after leaving home, who decided to put pen to paper, telling of life on the scrapyard and resulting in the publication of two remarkable books. What is even more remarkable is that Peggy left school finding it difficult to read and write. But what of Peggy's life today? A single mother who was determined to bring up her daughter Clare as a lady, Peggy Harris has a grip on life that one simply has to admire. Chris Chapman followed Peggy for a year with his film camera, gaining an insight into her hard yet noble life. In February 2015 Skerryvore sponsored a run up event for Chagword, Dartmoor's Literary Festival. The evening kicked off with three ladies reading their favourite passages from Peggy's two books, followed by the screening of the film and questions from the floor to Peggy. The evening was a sell-out. 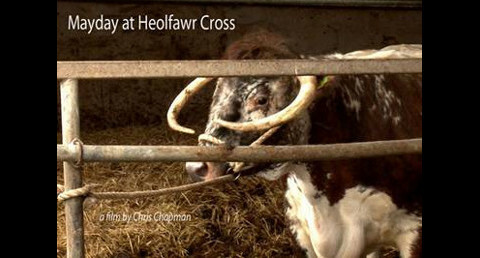 Mayday at Heolfawr Cross - a film by Chris Chapman. This fifteen minute film chronicles the events from May 1st 2012 on Dai Bevan's farm in Carmarthenshire. Dai's herd of pedigree Longhorn Cattle has been struck down with Bovine TB. Many will have seen Adam Henson's visit to the farm, filmed just before the cull and later broadcast on the Sunday evening 13th May edition of Countryfile. However as an independent film maker, I was able to tell the whole story. Bovine TB is an insidious disease that is spreading across the countryside at an alarming rate. Unlike Foot and Mouth, which was visible to millions of people through the horror of the burning pyres, this disease goes largely unnoticed, yet it is costing the tax payer millions of pounds each year and threatening the livelihoods of many. The film tells the story of the effect that the disease has had on two farms in the South West of England, one within the Dartmoor National Park which raises pedigree cattle, the other a family dairy farm on the Mendip Hills, Somerset. By cataloguing the history of the disease and talking to expert witnesses, Chris Chapman has a made a film that successfully bridges the gap between those who view the problem of Bovine TB as contentious and insurmountable, and those who believe that there is a way forward. Chris Chapman says: 'I knew this would be a very difficult film to make, and from the start I was determined to steer clear of the politics and produce a film with a firm educational base. People love wildlife and I wanted to show how the disease has got out of control and yet is not being properly addressed. I personally don't agree with a blanket cull as has been suggested by the Welsh Assembly. This film makes a strong point for healthy cattle and healthy badgers by a different, and to my mind, far more acceptable route'. 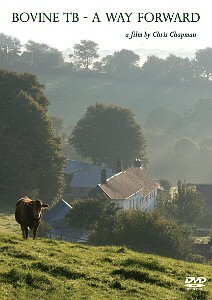 Bovine TB - A Way Forward, was released in February 2010. 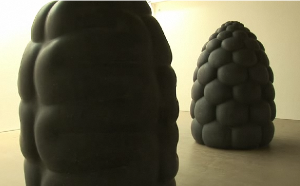 This extract is from Peter Randall-Page at Yorkshire Sculpture Park, a film by Chris Chapman. It follows Peter as he prepares for his major exhibition at YSP in the summer of 2009, revealing the making and installation of significant works, including the journey of two monumental Kilkenny limestone sculptures Corpus and Fructus from blocks of stone to finished works in the Underground Gallery. As part of a growing film archive, Chris shot the following short, David Alford Playing the Bones, on Dartmoor in February 2008. In January 1953, as part of The English Folk Dance & Song Festival, David played the bones, with Bob Cann on melodeon, in London's Royal Albert Hall. In June 2008 Dartmoor National Park Authority commissioned The Dartmoor Film Project to produce a twelve minute film, Dartmoor - A Fair Deal for the Hills, for screening at a conference on the future of the uplands held at Dartington Hall, Devon. The film has been widely received and in November 2008 screened in a presentation to the House of Lords. Following the success of Dartmoor- A Fair Deal for the Hills, this new film, by Chris Chapman & Kate King, was commissioned in September 2008 by Dartmoor Farmers Ltd to promote the special qualities of traditional British livestock bred on the moor. Chris Chapman's footage shows the beauty of the moor and the working farms, woven in and out with interviews with the farmers themselves, the Chief Executive of Dartmoor National Park, Kevin Bishop, the Chairman of Dartmoor Commoners’ Council, Ian Mercer, a local chef, Darrin Hosegrove and a farmer’s wife cooking Sunday dinner for the family. It puts across the message about sustainability, public benefit and good food in a highly original way. 'Kate and I were delighted when Dartmoor Farmers Ltd approached us to make a film about their new venture. The farmers are a hard working bunch and these meat boxes, consisting of naturally reared Dartmoor Beef and Lamb, taste superb.